Need to protect the health, beauty and value of your wooded lot? Selective timber harvesting and thinning from BW Timber Harvesting. If you have a garden, you wouldn’t dream of letting weeds dominate your flowers, fruits or vegetables, robbing them of the light and free space they need to thrive. The same holds true for your wooded lot, whether it’s part of a residential property, a commercial lot or a municipal development zone. Thinner, lower-quality trees act as “weeds” by choking and crowding the more desirable specimens, damaging their health and limiting their growth. Selective timber harvesting can help you maximize the value and well-being of your property – and BW Timber Harvesting is proud to provide this service for Vermont and New Hampshire landholders. Thinning your wooded lot responsibly is key to protecting your land investment, health and vitality of your property. Periodic cutting of mature trees can open up the canopy and allow more light to hit the ground, encouraging the next crop of valuable trees to spring up. Hemlock, beech, and other-low-grade trees are removed from the area so they can’t interfere with the optimal development of larger, more desirable trees. We evaluate your site and schedule for the optimal time to get the work done depending on your timeframe, land and weather conditions. We work all year. 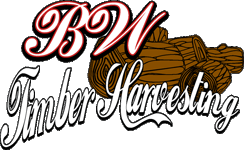 Let BW Timber Harvesting help your woodlot “garden” grow. Contact us today about our selective timber harvesting services.